What Recruitment Niches Are Hot? The Top 12 Scary, Creepy and Downright Disturbing Jobs???? Recruiter Networking Events – What to Know Before You Go! Split Placements Are on the Rise! If You Are Looking for Potential Candidates In Other Countries.
" OSHA says a leading maker of soap and shampoo exposed workers to chemical and fire hazards, and they also cited their staffing company. 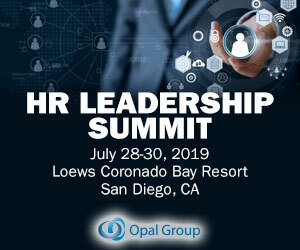 According to HR Exec , the Workday HCM client list totals more than 2,100 organizations, including ‘175 of the Fortune 500, 20 of the Fortune 50, with Walmart and Dow Chemical going live this year.’. Workday is all the buzz in the HCM space during the past few years. The highest salaries we have been seeing are in the chemical process and IT / hardware / software / electronics areas. Here is a sampling from the past four months: Plant Manager, chemical industry, $180,000. Director of Operations, chemical industry, $175,000. We feel better for a bit (a sugar rush, a chemical rush etc.) When we’re stressed, we tend to ‘treat’ ourselves by gorging on junk food, sugary snacks, caffeine and nicotine. But why? Well, quite simply, because we are stressed. Subsectors include exploration, surveying and chemical assessments, among others. Here’s how to hire for positions that are in the fastest growing industries according to the Bureau of Labor Statistics: 1. Home health care services. Here is an example search narrowed to a region: chemical engineer. We can exclude country-specific domains and examine what Google brings in as local to a country, based on factors other than the country-specific domain: chemical engineer -site:nz . Chemical Process roles are up 14% compared to last year. Anecdotally, we are hearing reports of improved activity within the chemical process area, although some members are still experiencing slow-hiring clients. Yes, you might be hard-working, well-connected, energetic and focused on the needs of the role, but do I talk to you if I need a chemical engineer in Idaho, or do you only place hospitality staff in LA? The vast majority were expected to clean bathrooms and/or kitchens, often with bleach or other strong chemicals. When an agency wants to hire home care aides who will be most successful, what should it look for in its applicants? In-home care providers play a unique role in their clients’ lives. They have a major impact on a person’s quality of life, but don’t typically have a part in health care decisions. The work environment is unusual. Home care aides do not see colleagues every day. Walgreens, Dow Chemical Company, Walmart, Starbucks, Bank of America, AT&T, Home Depot and more have assisted with hurricane relief but these companies particularly share these core values: Service , Respect, Integrity, People, Trust, Care, and Presence. If you represent chemical facilities in the southeastern US and have an ongoing need for chemical engineers, say that. October is traditionally a very busy month for conferences, and it’s also when we really start planning our Global Conference. she OR her site:zoominfo.com /p “chemical engineering”]. We know that diversity in the workplace positively affects outcomes. Including a diverse pool of candidates in the talent pipeline is a must for any forward-thinking recruiter and hiring manager. Chemical Engineers. I’m a child of divorce. I know, right, cry me a river. . I was never the kid who blamed everything wrong in my life on divorce. On the contrary, I think being a child of divorce probably gave me a leg up on all these soft kids who grew up in a nuclear family and never had to question if Dad was ever coming home again. . I thought it was cool that my parents were divorced. Notable industry segments include: Chemical process continues to be soft as oil prices continue to be volatile. As we are officially in the second half of the year, I thought it would be interesting to review our split placements data for the first six months of the year. Chemical process has been a mainstay of our network for a number of years, but it’s been a bumpy road for the past two. From time to time, prospective members ask what industries or occupations are hot in our network. I changed after doing IT/aerospace for probably 20 years, and changed to the chemical process industry. There continue to be soft pockets in the chemical and oil/gas sectors due to continued fluctuations in the global prices of crude oil. Twice each year, we survey the members of our global recruitment network to benchmark past results and predict future results. Only people using chemicals need to undergo training.” Here are six hazardous chemical training myths [Manufacturing]. House Speaker John Boehner urges Republicans to support legalization of undocumented workers [Business Week]. Also, check your household and beauty products for toxic chemicals. Our guest blogger is Glenn Arnold of Arnold Group Australia in Melbourne, Australia. Arnold Group Australia has been a member of NPAworldwide since 2004. Common mining hazards include cave-ins, gas explosions, vehicle or equipment crushings, chemical leaks and electrocution, all down mines that can be as deep as 3.9km. Stressing because you can’t find a suitable candidate for a marketing or a sales role? Dow Chemical switched to eLearning for their regulatory compliance training of its 60,000 employees and contractors. Utilizing the latest developments in learning & development, similar to Dow Chemical, can help your organization reach their long-term goals in a cost-effective manner. Over 80% of home care aides reported that they were expected to clean the bathroom or kitchen, typically with bleach, ammonia, or other strong chemicals that could cause injury. The home care hiring process isn’t easy. The industry is booming, and job seekers have keyed in on the fact that this career has a low barrier to entry. Activity in the chemical process recruitment sector is down approximately 20% compared to last year, due to volatility in the price of crude oil. Maybe one worker had a serious chemical spill in the past. You could put more emphasis on chemical and hazardous material safety during their training sessions. Dallas chemical engineer indicted for stealing a valuable chemical recipe from temporary employer [Dallas News]. Death of seafood worker who became entangled in a clam-shucking machine is deemed “preventable” [South Coast Today]. EEOC sues Wisconsin Plastics Inc. Despite the cliche that millennials only want to work at tech companies and startups, the list of top-rated workplaces by members of this age group includes a broad range of industries—including security, finance, health care, tech, travel and chemicals. First of all, there are biochemical factors where the imbalance in brain chemicals triggers depression. It’s the obvious solution because you can use antidepressants to restore chemical balance in your brain. Top jobs in the engineering space are Aerospace engineer, Engineering manager, Materials engineer, Petroleum drilling engineer, Chemical engineer, Nuclear engineer. __. 2017 was melange of varied events that have the potential to change the game of many sectors. In a recruitment network, there can be hundreds of trading partners to choose from and work with. If you have a job order, how do you get the attention of a great exporter to provide candidates for it? And likewise, if you have a great candidate, how do you present it to members with jobs? Sales Manager for a Chemical Firm. Last week, I spoke to someone with 8 years in aerospace about a job in the chemical industry. 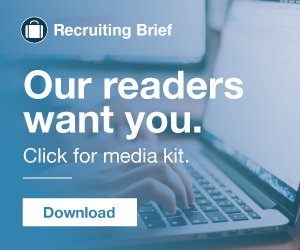 Ads, Automation and Recruiting – A Right Recruiting White Paper. For every problem there is someone who wants to sell you a solution. This metro has seen a significant rise in welders, industrial machinery mechanics, chemical plant operators and other skilled occupations that pay above the metro’s living wage. Energy and manufacturing metro areas in the U.S. This includes managing ways to protect the earth and human populations from harmful chemicals and pollution. If you have ever thought working from home meant you wouldn’t get paid well, think again!